On Friday December 11, credit cards and other belongings were stolen from a vehicle in Banner Elk. 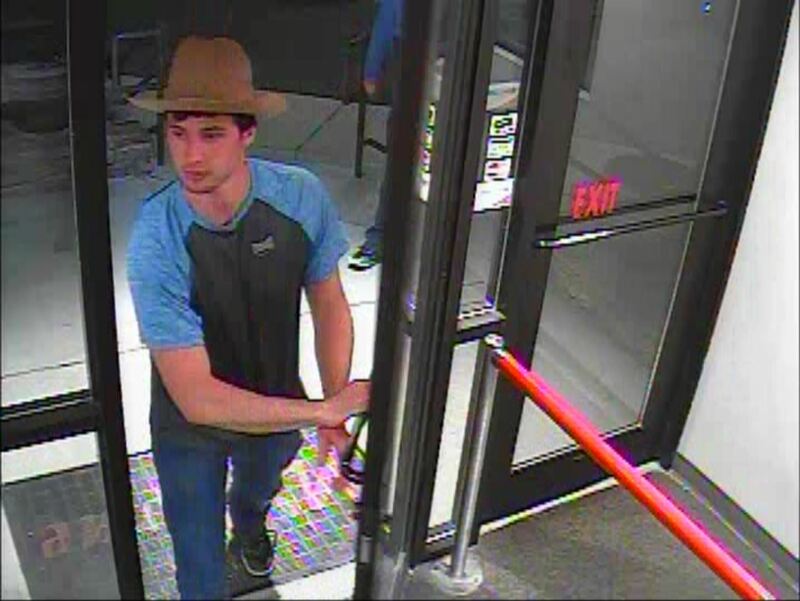 Later that same evening the stolen credit cards were used in various locations in Boone. 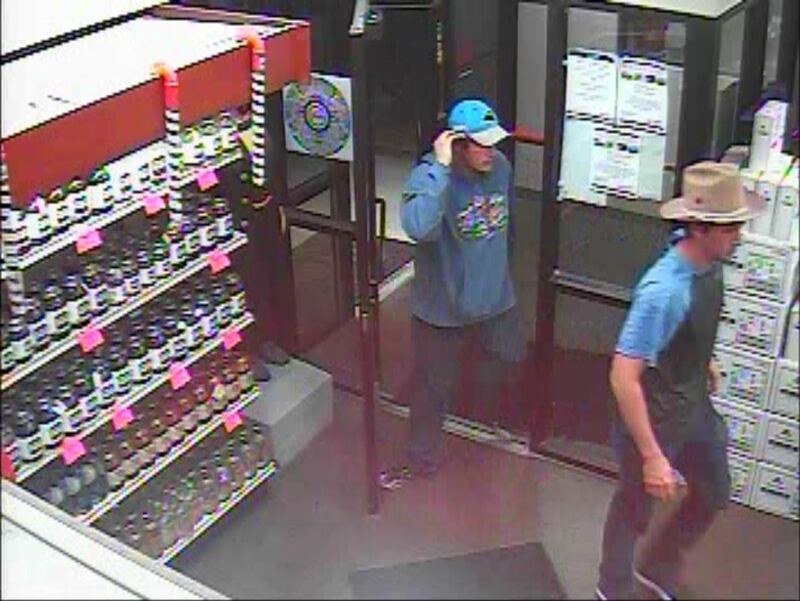 Boone Police are asking for the public’s assistance in identifying two men seen on surveillance footage. 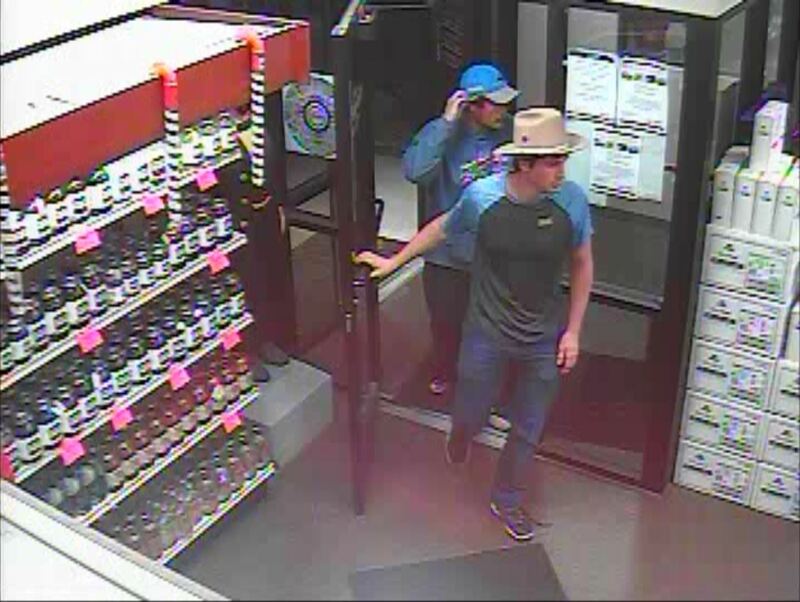 Both are white males in their early twenties, one wearing a tan cowboy hat and the other wearing a Carolina Panthers ball cap. The men were seen in a black late 90’s model Toyota 4Runner with dark wheels and a large rack on top.